After creating cult classics out of Reservoir Dogs and Pulp Fiction, and having turned to the Nazis in his last film Inglourious Basterds, director Quentin Tarantino is now turning his hands to a film of the Western variety, with Django Unchained. When Django (Jamie Foxx) is released from slavery by his new mentor Dr. King Schultz (Christoph Waltz), he becomes a bounty hunter, determined to carry out the rescue of his wife from Calvin Candie (Leonardo DiCaprio), the Mississippi plantation owner who kidnapped her. 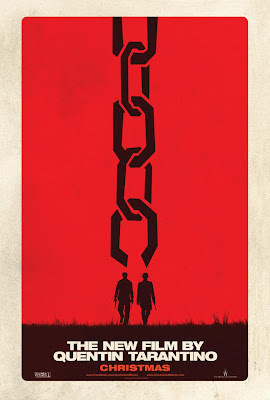 Django Unchained is released in cinemas across the UK on January 18th 2013. Happy to see Tarantino unchaining Django, or is he better off left chained up? Will it be a blockbuster or lacklustre? Leave your comments below!